If you have been charged with disorderly conduct, there is no substitute for the legal expertise and experience of a criminal defense attorney. But when you do not qualify for indigent defense, or an attorney appointed at no cost to you, and you cannot afford an attorney on your own, you may have to fight the charges yourself. Read the ticket or charging instrument carefully. Research the definition of "disorderly conduct" in your jurisdiction. Any number of obnoxious or unruly behaviors may be included in the statute. Determine which elements of the crime allegedly apply to you. Obtain a copy of the police report. It will contain important information such as a description of the events as observed by law enforcement, as well as witness names and contact information. Contact witnesses. Understand, however, that they are not required to speak with you. Be polite and explain that you are forced to represent yourself in the matter. Ask them what they specifically remember about the incident. Take detailed notes. Thank them for their time. Identify what, if any, information conflicts with the police report. This is the information you will need to illicit from your witnesses when you are in court. Make a list of questions you will need to ask any witnesses you may call. Consider what information law enforcement has that you will want to disprove or call into question. Prepare a list of questions you would like to ask on cross-examination of the prosecution's witnesses, such as the law enforcement officers involved. Keep in mind that you are limited to topics brought up on direct examination---that is, the prosecutor's questions. Write an opening statement that puts you in a favorable light. Stick to the facts, though; this is not the time to argue or persuade. Decide whether you will testify. You do not have to, and not doing so cannot be held against you or be considered an admission of guilt. Write a closing argument. This is the time to be persuasive. Talk about how your actions---as represented by yourself and any favorable witness testimony---do not amount to the crime charged. Be prepared, however, to make changes to your argument based on what the prosecution says in court. Determine whether you want a jury trial. If you choose to have a bench trial, the case will be heard and decided by a judge. Bring a notepad and pen. Bring your copy of the police report, questions you will ask the witnesses and your opening statement and closing argument. Take your time when speaking. 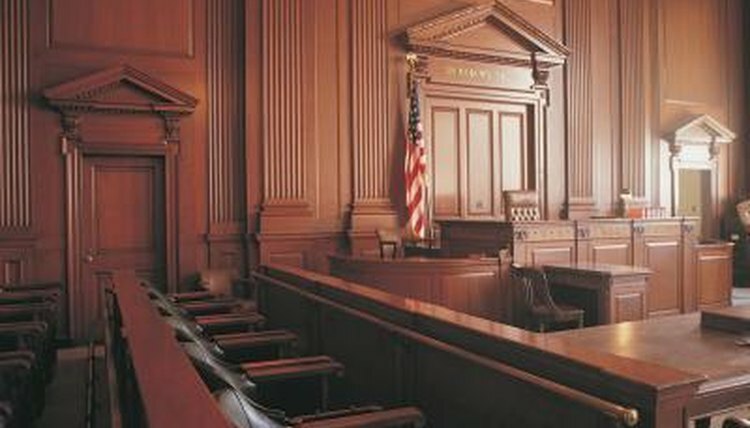 Address the court respectfully: always stand when speaking to the judge; call the judge, "your honor." Speak clearly and as confidently as you can. Make eye contact with the judge and members of the jury. Laura Forester began her legal writing career in 2005. Her writing is largely a matter of public record in Oregon where she is a licensed attorney with experience in family law, criminal defense and appellate law. Forester received her Juris Doctor from Lewis and Clark Law School and holds a Bachelor of Arts in interdisciplinary studies from the University of Arizona. Forester, Laura. "How to Fight a Disorderly Conduct Ticket." , https://legalbeagle.com/10061294-fight-disorderly-conduct-ticket.html. Accessed 20 April 2019.